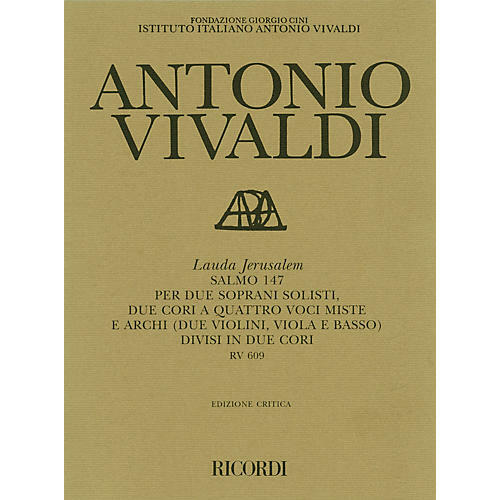 Vivaldi's setting in E minor of the Psalm Lauda Jerusalem, which was probably written towards the end of his life, was one of the number of works that he supplied to the Ospedale della Pietà in 1739. It resembles the Beatus vir RV 598 in being conceived as a single, extremely long movement, but differs from it in employing a double choir and orchestra. The Lauda Jerusalem is a muscular, memorable work that shows Vivaldi's invention at the end of his career to be undimmed.